Gears 5 was revealed at this year’s E3 and we were able to learn quite a few details about the game so far. One of the interesting changes that some have noticed about the new installment has to do with its title since it is simply called Gears 5 and not ‘Gears of War 5‘ as many had expected. This was clarified by The Coalition’s head Rod Fergusson on Twitter. Further the name on the box art will also be Gears 5. This certainly makes sense and it looks like future games in the series will also be named in a similar fashion, but that’s a long time away from now. 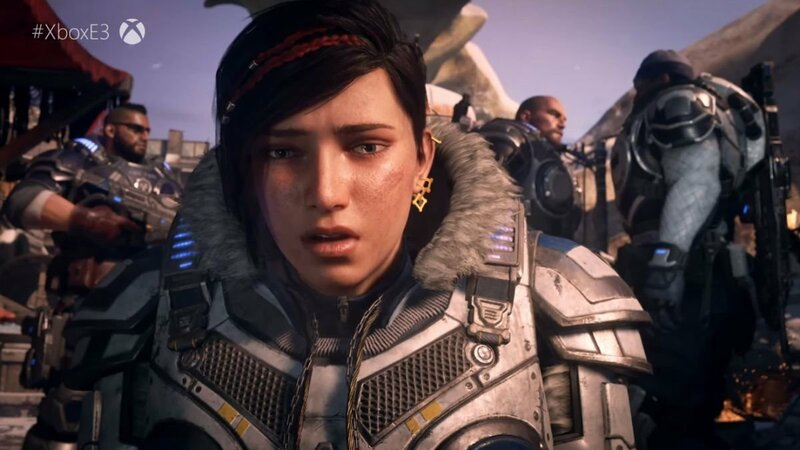 Gears 5 is set to release in 2019 for the Xbox One and PC. Thanks for the kind words. BTW it’s just Gears 5. That is what’s going to be on the box. “Gears of War” is still the franchise name but now that we’re doing a family of products it made more sense to shorten the titles down – Gears Pop, Gears Tactics & Gears 5. Plus we always just call it Gears anyway so it feels good to simplify.